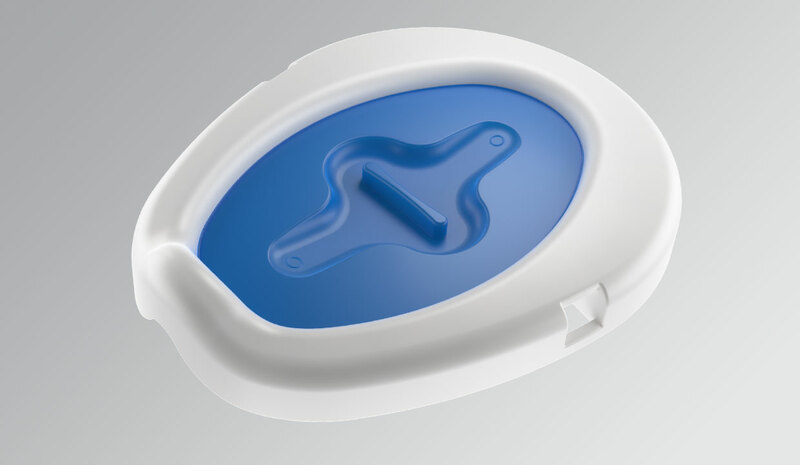 The Olla is a new, bioplastic bedpan for single use. This bedpan is more comfortable, more stable, and suitable for both men and women. Its innovative design makes it more efficient and more hygienic to use. 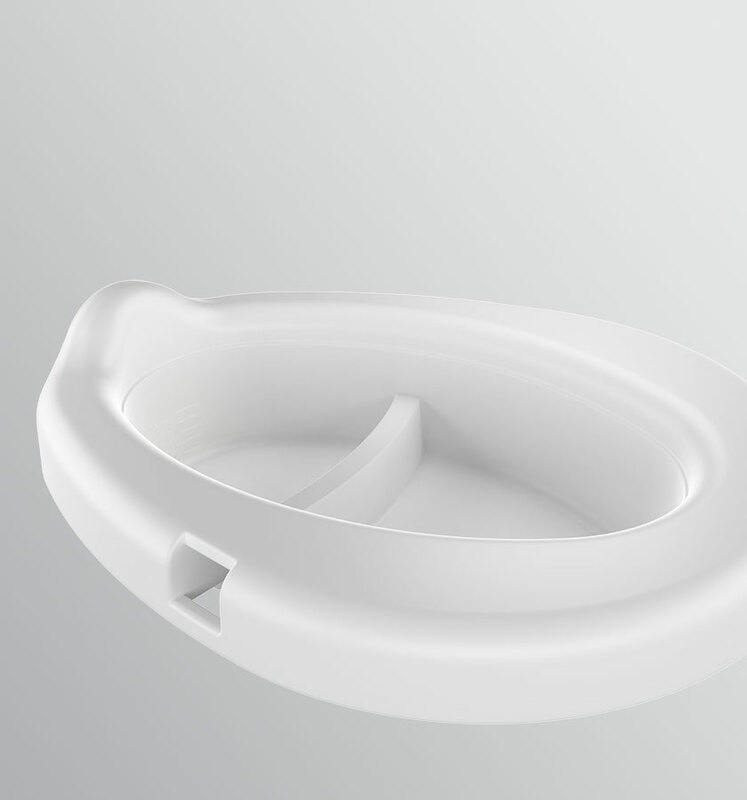 The bedpan is easy to use and its ergonomically shaped seat is comfortable. If necessary, a handle can be attached to the Olla’s side. 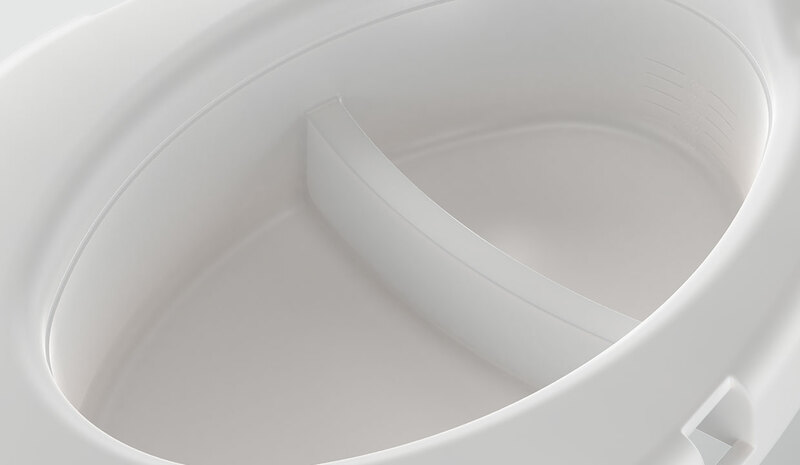 The Olla is much easier to use than a traditional steel bedpan and because of its bioplastic surface, it doesn’t experience changes in temperature hot or cold. Thanks to our smart design, the Olla can support up to 150 kg (approx. 330lb). The elevated front also makes it easy for women to use the Olla. Urine and faeces are separated, so taking samples for further examination is simple. This, in turn, makes it possible to start treatment sooner. The scale markings in the Olla clearly show the volume of fluids. 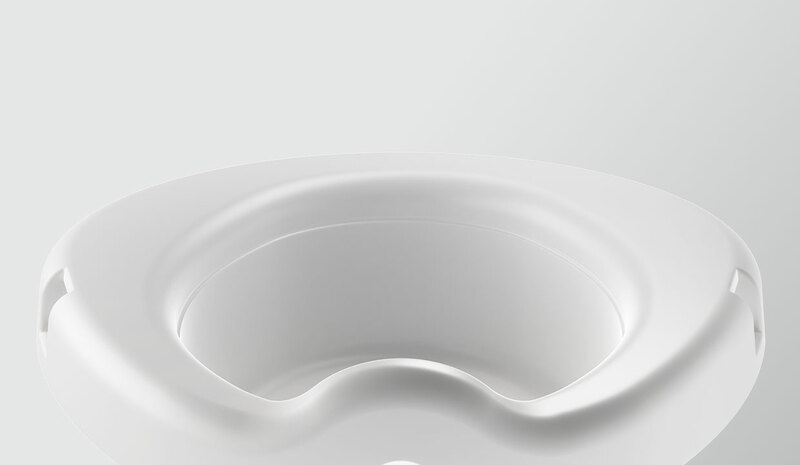 The lid provided with Olla seals the bedpan completely, so no unpleasant odours can escape. The membranes in the lid allow for samples to be taken for examination after the lid has been closed. More efficient, more hygienic, fewer contact points and shorter cycles. 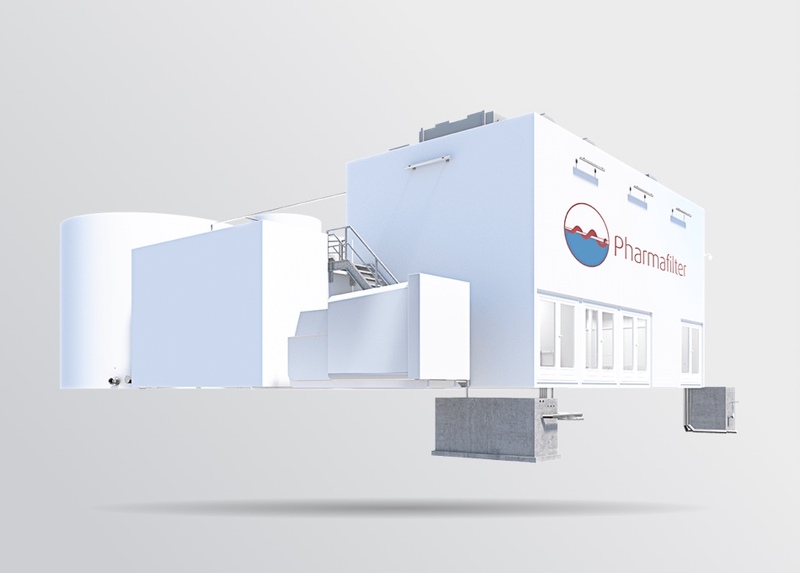 Compare the new Pharmafilter system with the use of standard bedpans. Stap 1 van 5 Request The patient requests an Olla from their bed. Stap 1 van 8 Request The patient requests a bedpan from their bed. Stap 2 van 5 Ready for use The new Olla is already stored in the patient's room and ready for use. Stap 2 van 8 Bedpan is collected The bedpan is kept in storage and delivered by a nurse. Stap 3 van 5 Collected for cleaning The risk of contamination is minimal due to the fully sealed lid. Stap 3 van 8 Collected for cleaning Transporting is very risky because of limited sealing capabilities. Stap 4 van 5 Place Olla in Tonto Olla and gloves are placed into the Tonto grinder and closed by foot. Stap 4 van 8 Bedpan waits to be cleaned Manually open the bedpan washer and observe a clean bedpan. Place dirty bedpan on the counter. Stap 5 van 5 Disinfect hands The final step in the Olla process is washing your hands. Stap 5 van 8 Disinfect hands Hands are disinfected in accordance with protocol. Process complete Next patient The Olla process is complete and the nurse can tend to other tasks. Stap 6 van 8 Remove bedpans from washer Clean bedpans are removed from the washer and placed in storage. Stap 7 van 8 Dirty bedpan placed in washer The dirty bedpan is manually placed into the washer and turned on. Stap 8 van 8 Disinfect hands Hands are washed for the second time to complete the process. Summary Totaal 5 stappen Olla; saving time, hygiene risks, and required disinfections. Fewer steps, less chance of cross-contamination, fewer risks, better for the environment, more hygienic, and more comfortable. Summary Totaal 8 stappen Current process; time-intensive, high risk of cross-contamination. Lots of steps, more chance of cross-contamination, more risks, more intensive, and more uncomfortable. 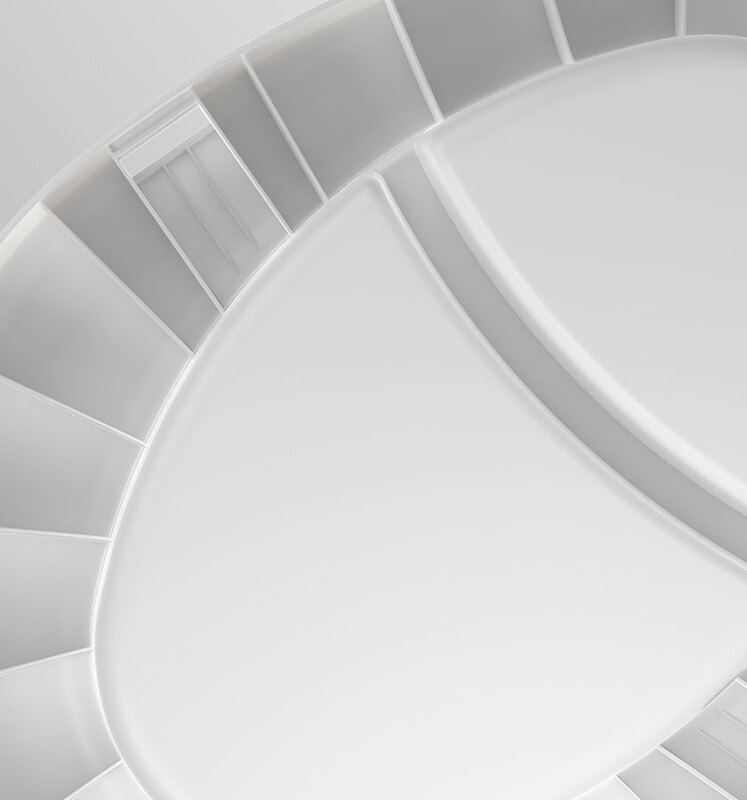 The bedpan's oval shape ensures comfort for both men and women. The partition makes it possible to collect urine separately. The biopolymer the Olla is made of is 100% biodegradable in the Pharmafilter installation. 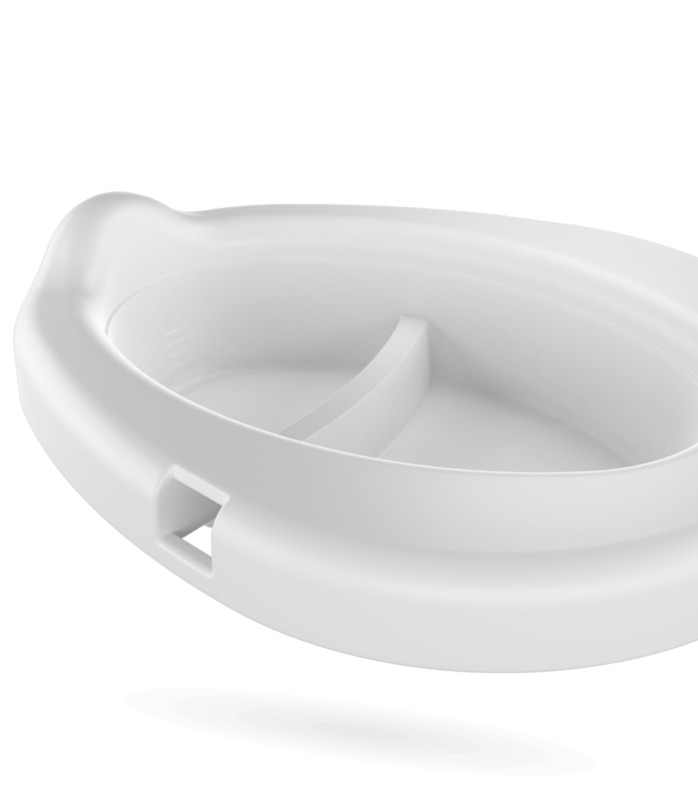 The Olla bedpan is for single use and is completely ground up and disposed of by the Tonto. This means no bedpan washer is required, saving on water usage. The Olla is more hygienic to use and weighs just 400 grams (approx. 0.9 pounds). For even greater ease of use, the Olla can also be supplied with a lid and handle. For more information about the Olla, please refer to our digital brochure. Airtight, watertight and odour-proof. Cannot be opened after sealing. Each Pharmafilter process works with the Tonto grinder and will be filtered in the system. The installation cleans both waste water and the waste processed by the Tontos, preparing them for recycling. 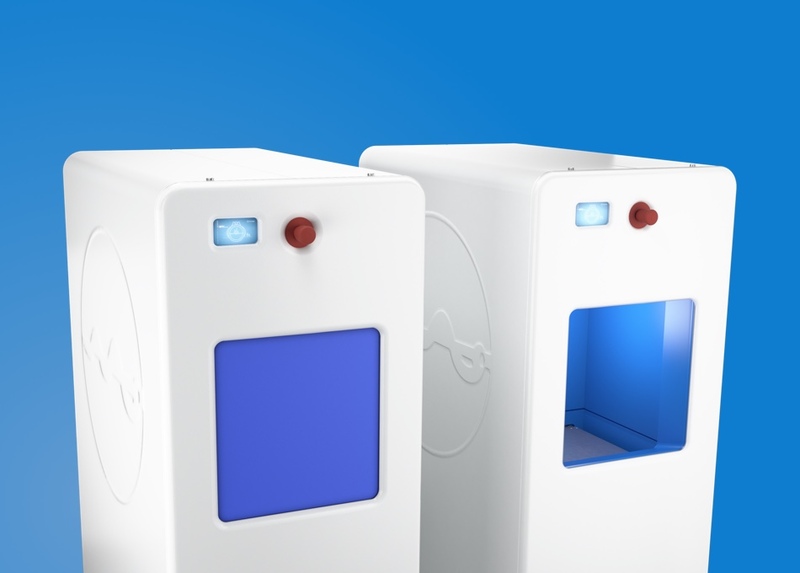 The Tonto allows for easy and hygienic waste disposal.